Do you have a favorite type of Oreo? 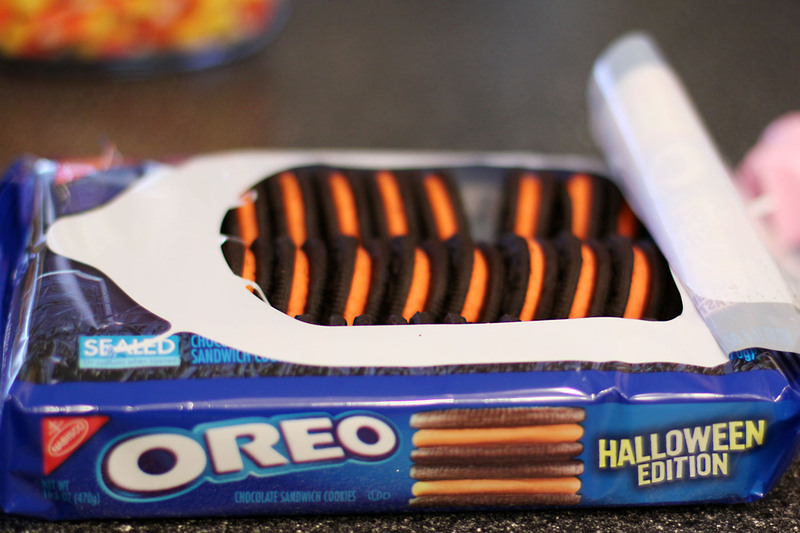 Personally I like the ones that come out around Halloween time with the orange frosting. They don’t taste any different from the regular ones I don’t think, but for some reason the orange makes it easier to consume an entire package of them… I also like the double stuffed ones because there is nothing wrong with putting more of that mysterious frosting stuff in my mouth. I’m not really into the golden ones, or the uh oh oreos. I know there’s a myriad of other flavors such as mint, peanut butter, birthday cake, and cookie dough!? but I’ve never actually tried those ones. Let me know if any of them are worthwhile in the comments! 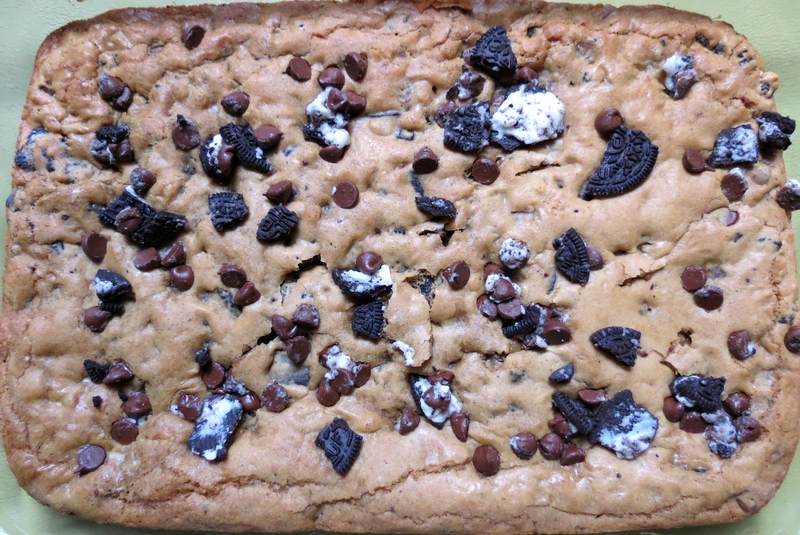 For these cookie bars I used double stuffed oreos. Like I’ve said countless times, you can never go wrong with double stuffed! 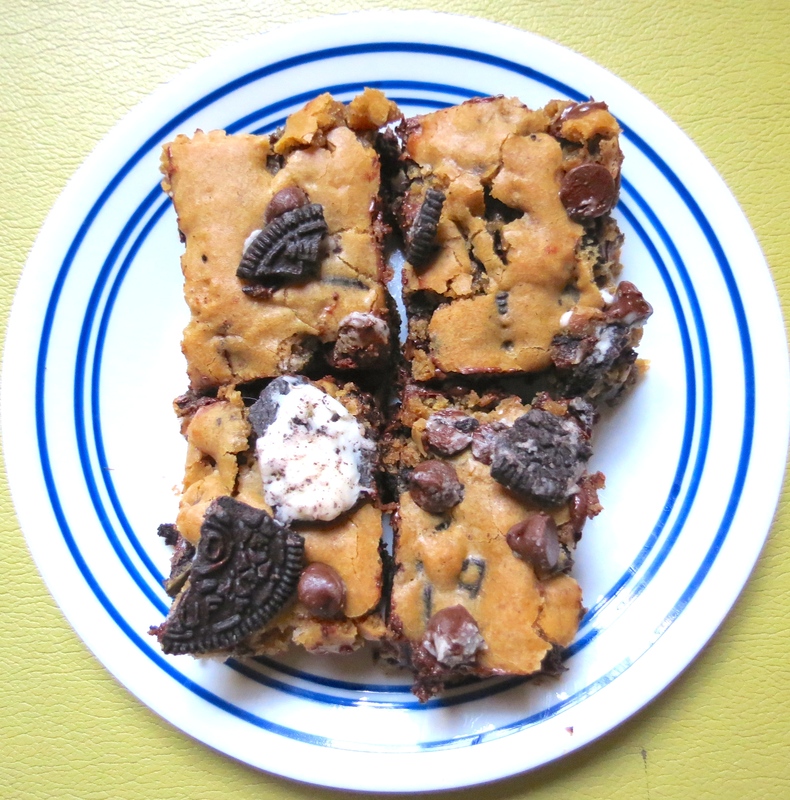 From this endeavor I learned a few things about my new kitchen Including the fact that I have a pretty weak oven. These had to cook for nearly 40 minutes when the recipe I based them on only had them in for 25! Also, because I don’t have an electric mixer I creamed the butter and sugar myself (cue your impressed faces at my powerful muscles) Either way they came out AMAZING and my sorority sisters devoured them at our chapter meeting!